The third miniature I finished painting from Reaper Bones’ third Kickstarter. I was impressed by how much character was captured in this sculpt by James Van Schaik. It was one of those miniatures that almost painted itself. For the body, I started with a flesh colored undercoat followed and followed with a coat of reddish brown for underfur. Then I dry-brushed on several increasingly dark layers. My primary Dungeon Master in University had an order of monks in one campaign that drank potions to transform, temporarily, into Werebears. 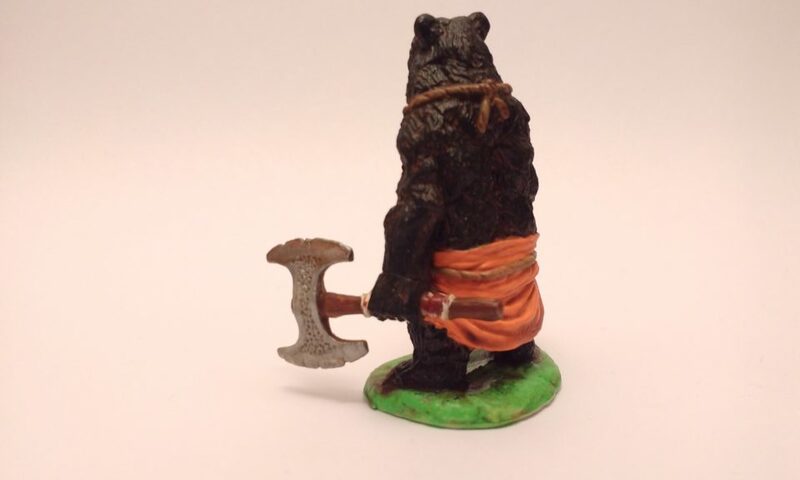 The image stuck with me which is why I decided to give this Werebear a saffron loincloth…which may have been a monk’s robe prior to the transformation taking hold. That also inspired the beads on the necklace being jade. I might go back later to fine tune some of the detailing – particularly on the necklace – but all in all I’m very happy with how this miniature turned out. Per usual, I finished up with the DIP method and then a matte spray for double the protection without the shine. 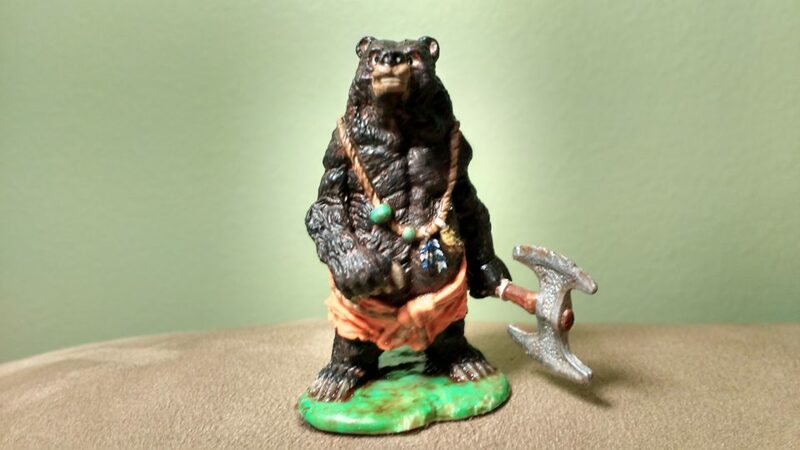 Edit: I was far from thrilled with how the photos for our poor old Werebear turned out. 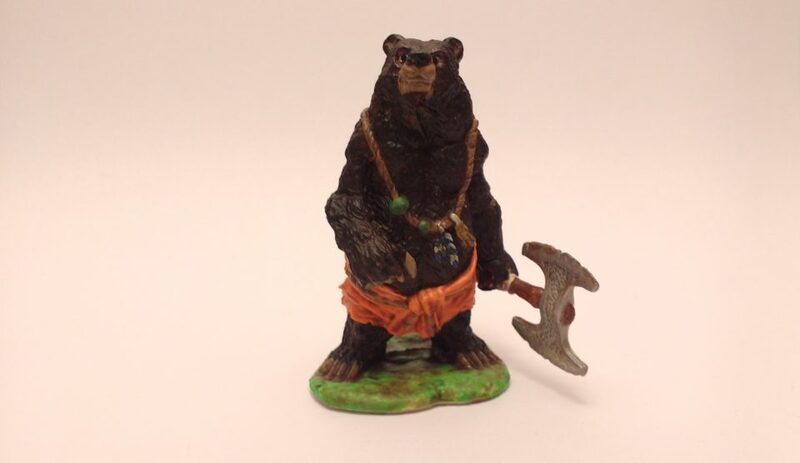 I’ve since taken another set in a photobox that are much clearer and a better representation of our friend the Werebear.